A great victory for FC Barcelona Lassa managed a great victory away against BM Granollers (31-20) in the return leg of the Loterías Asobal League. Following the World Cup, the blaugranas were much superior and they managed a well-earned victory to start 2017 on a high. The game started with not much between the two teams and both sides lacking rhythm following the international break. Xavi Pascual’s side took a small lead but neither team were able to score freely. The lack of precision in attack was countered by a great defensive performance led by the goalkeeper Pérez de Vargas. The blaugrana keeper stopped pretty much everything including a penalty from Marc García. The defensive solidity on display form both sides with impressive blocks and great stops were the highlights in the first half. In the first half was low-scoring with Barça ending with a lead (6-11). Sorhaindo, Lazarov, Jallouz and N’Guessan, with two goals each led the way in attack whilst Pérez de Vargas, with 12 stops and 67% success rate, could do no wrong during the first half. The second half started with two blaugrana goals and it led to a change of formation from the home side. Carlos Viver’s side started to play with seven men on the pitch and without a goalkeeper. Barça made the most of this by recovering the ball three times scoring three times in quick succession giving them a ten-goal lead (7-17). 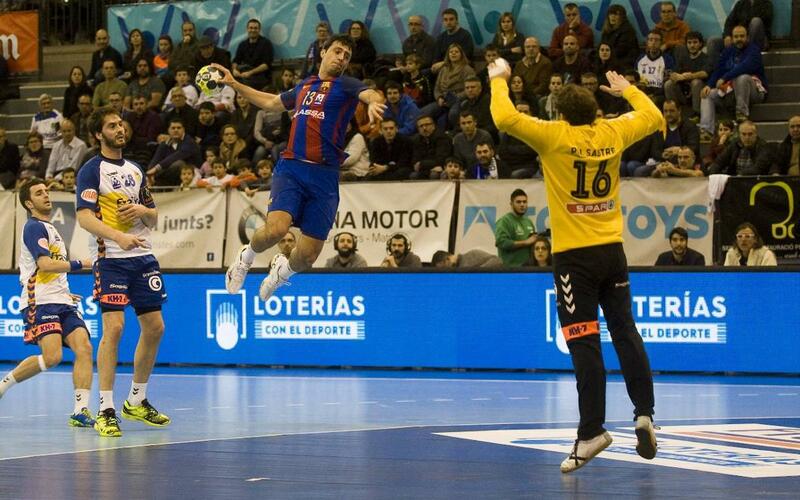 Granollers didn’t give up and they managed to get six goals back and got back into the game. The blaugranas responded well with two goals restored their lead. The second half continued to ebb and flow and Granollers tried to close the gap but the blaugranas weren’t fazed and they maintained a comfortable cushion. Barça managed to get their 10-goal difference back with a 27-17 score after 23 minutes of the second half. Ariño scored the final goal of the match giving him his fifth goal of the night giving them an eleven-point lead with a final score of 31-20. Finally, Barça Lassa’s win was convincing and well-earned and they started their year in style. The Catalans remain top of the table and they were able to dust of the cobwebs in a night that ended comfortably.